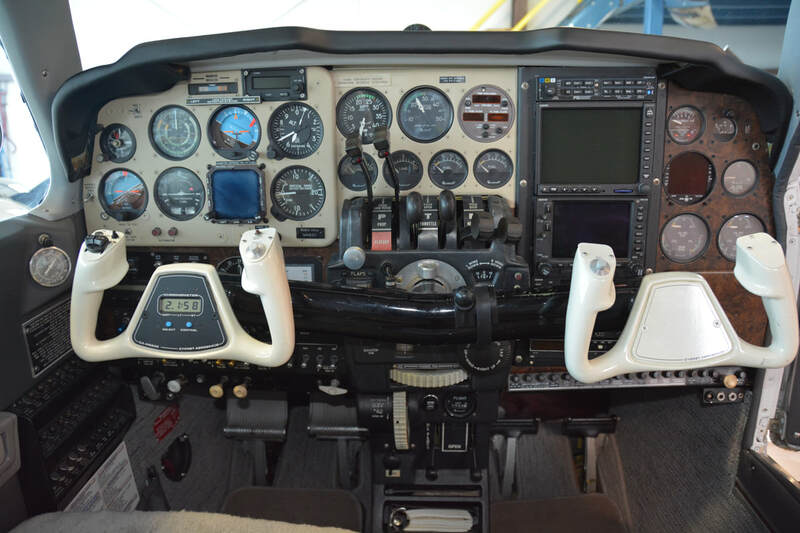 - STEC 55X autopilot with GPSS, STEC yaw dampner, and STEC altitude preselect: This combination is a $50,000+ installation. - Full Deice. Boots are literally like new. No patches, mirror like finish. - Large nose compartment and large aft baggage door. Paint is very attractive Matterhorn white with navy, grey, and red stripes. Only chips are around the gas caps. Rated a solid 8. Not a speck of corrosion. Recent interior done by the Pilatus interior shop in grey leather and fabric. Same materials and quality as in the PC-12. New side panels and insulation. Floor boards were replaced and area under the floor boards was thoroughly cleaned. Condition is a 9. All the side glass was replaced with the interior. Side glass is flawless. Windshield was not replaced at this time and is currently in excellent condition. Glass rated a 9. If pedigree means anything to you, this Colemill has it. The ownership in the last 10 years was a Pilatus executive who happens to be one of the highest time SR-71 pilots in existence. 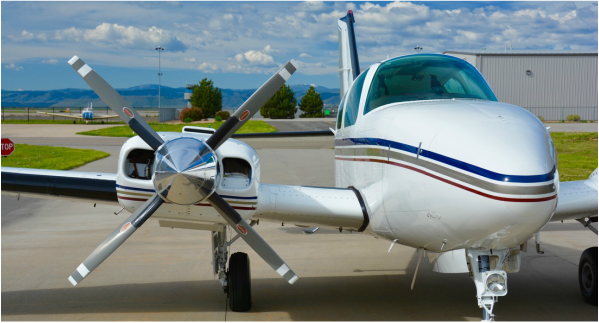 The other, most recent owner was Mark Baker, current President of the AOPA. The maintenance and care has been far above what you would normally see. The engines run great with high compressions and very low oil consumption. I have owned numerous Colemill Barons, which includes all the different models. This one is the smoothest and most quiet I've flown. 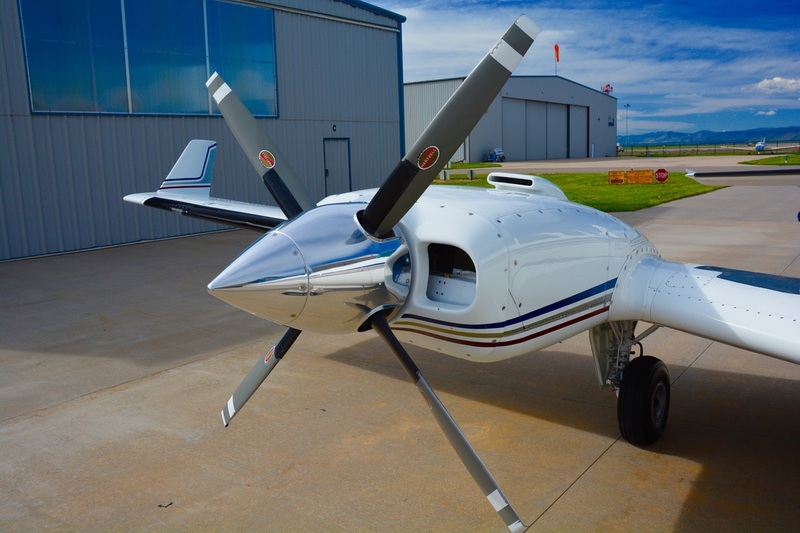 Critics who have never flown the Foxstars, claim they are slower than the three blade prop models. This one trues out at 205 kts and climbs as good, if not better than the 3 blade models. Throttle back to 65% power you you will see TAS of 190-195 knots on 26 gph total. Logbooks are complete and work done by very reputable shops with major items recently replaced such as a new heater, and gear motor.